KNOXVILLE, Tenn. – After scoring in four consecutive innings, the No. 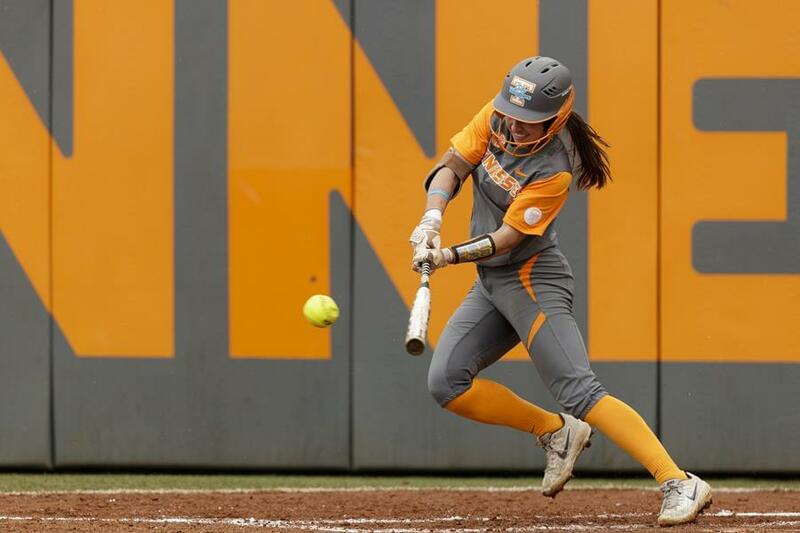 9/8 Tennessee Lady Vols defeated the Mississippi State Bulldogs, 9-2, at Sherri Parker Lee Stadium on Sunday afternoon to sweep the series. With the victory, UT improves to 10-5 in SEC play and 32-8 overall. It also marks the Orange and White’s fourth-straight win. Tennessee scratched runs across in the third-sixth frames with freshman Kaitlin Parsons leading the way with three runs scored. Five different Lady Vols also earned RBIs on the day while Jenna Holcomb (3-for-4, 2 R) paced the team at the plate. The Lady Vols capitalized on seven MSU errors during the game and worked the count for 12 walks. In the circle, Matty Moss earned the start and went 2.0 innings before Ashley Rogers entered in relief to toss the final 5.0 frames. Moss recorded four strikeouts and allowed two runs (one earned) on five hits in the no-decision. Rogers was credited with the win as she fanned five batters and gave up just five hits in her shutout performance. MSU jumped out to a 2-0 lead in the second inning after a quiet first stanza. The Bulldog’s Kayla Boseman hit a solo home run to lead off the frame. 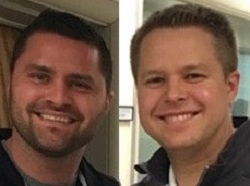 A Tennessee error then allowed a runner to reach base before two singles and a sacrifice fly gave Mississippi State the chance to come home again. In the third inning, UT trimmed the Bulldog’s lead by drawing four walks. Freshman Kaili Phillips worked the count with two outs for the bases-loaded RBI walk to make it a 2-1 game. The Lady Vols then used timely hitting and took advantage of MSU errors to plate four runs and take the lead in the fourth inning. Holcomb led off with a double to short and nearly took third on the hit before Aubrey Leach walked. Parsons then laid down a sacrifice bunt that resulted in an error, allowing two runs to score. She advanced to third on the same play as MSU’s first baseman made an off-target throw home in an attempt to get an out. Chelsea Seggern then hit a sacrifice fly to center, but the ball was dropped which gave her the chance to reach third. Treasuary Poindexter entered as a pinch runner and came home on an RBI groundout by Haley Bearden, giving UT a 5-2 lead. Continuing its scoring ways, the Big Orange improved its edge to 8-2 in the fifth. Holcomb reached base on a fielder’s choice, followed by a Leach single. The duo advanced to second and third on an error by MSU’s left fielder before Holcomb scored on Parsons’ single to shortstop. ​​Three batters later, Cailin Hannon reached second base on another fielding error which allowed UT to put two more runs on the board. In the sixth inning with a runner on first, an eight-minute rain delay forced a stoppage of play. Phillips had reached on a walk before the break and then advanced to third on Holcomb’s single and a throwing error after play resumed. Leach then hit a sacrifice fly to left field, allowing Phillips to score the final run of the game. Two outfield flyouts and Rogers’ fifth strikeout of the night ended the game in the top of the seventh for the 9-2 final. 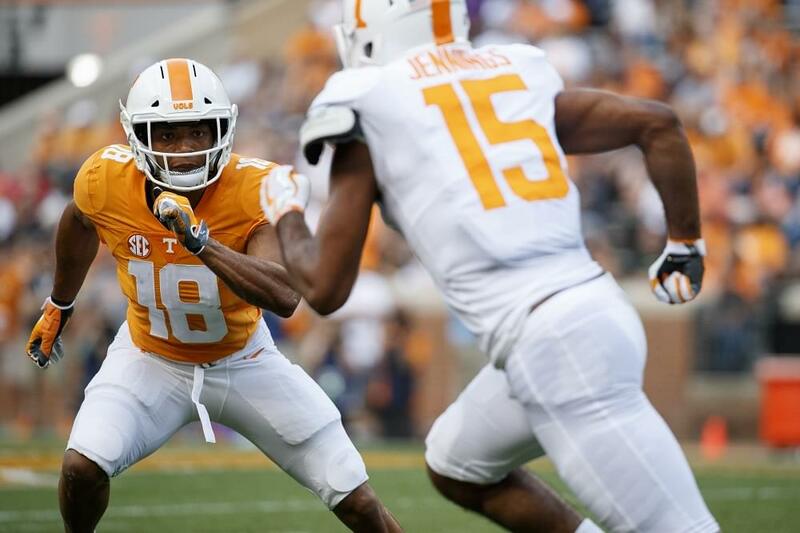 THESE BOOTS WERE MADE FOR WALKING: Tennessee’s 12 walks during the game are the most in a game since the Lady Vols drew 14 walks against Monmouth on May 18, 2018. All 12 walks were issued by Mississippi State’s Emily Williams which is the most by an opposing pitcher in UT history. Meredith Whitney of Western Michigan previously walked 11 UT batters on February 12, 2012. 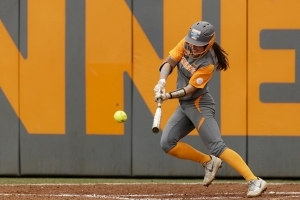 MAKE NO MISTAKE: The Lady Vols capitalized on six of MSU’s seven errors to advance runners and score eight of their nine runs in the contest. Of those eight runs, two would be earned due to the situations. All together, the seven errors committed by Mississippi State are the most by a Tennessee opponent in program history. Miami (Ohio) held the previous record when it had six errors against UT on May 20, 2005, in the NCAA Knoxville Regional. ON DECK: The Lady Vols travel to ETSU for a non-conference game on Tuesday, April 16. First pitch is set for 6 p.m. EST and fans can listen to a live radio broadcast on AM 990, UTSports.com and the UT Gameday App.